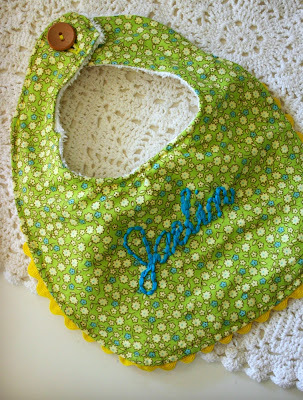 Anyway, I made a little bib for my friend's daughter over the weekend and I'm thrilled that it turned out pretty well. 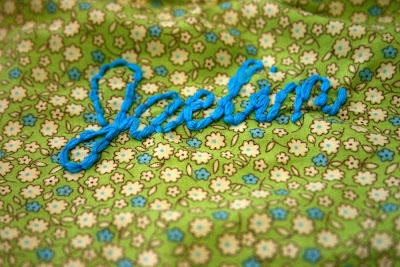 Mr. VG hand embroidered her name for me and that gave it a special touch. I hope her little one hasn't gotten too chubby to wear it since I haven't seen her in a couple of months and we all know how quickly babies grow in just a short time. 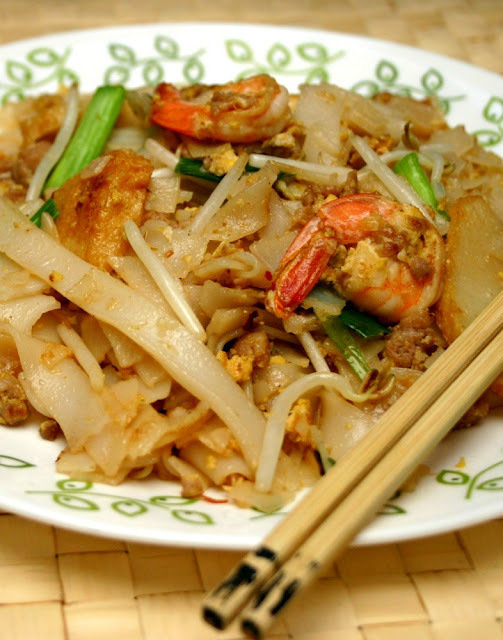 Over the weekend, I also cooked fried rice noodles (kway teow). 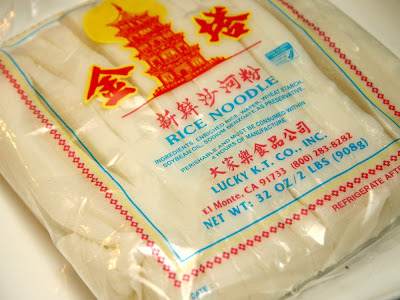 It's one of those dishes where I'll crave badly out of the blue and must make a special trip to the Asian grocery store just so I can buy the noodles. This is a simple dish to cook but requires advance preparation. Once you get the wok or pan going, you can't stop so it's crucial to have all the ingredients ready for the cooking process. 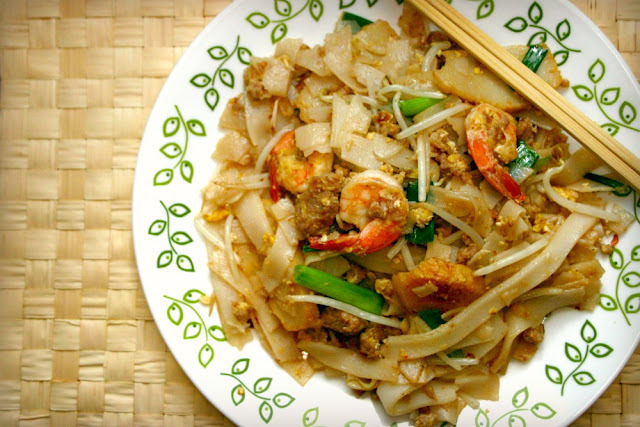 You may also need to cook this dish in two batches, depending on how hot your stove can get. If you can sustain a pretty high heat, you may be able to cook everything together but for best results, cook two individual servings. Your taste buds will thank you later. 1. Prepare the noodles - Remove the caked noodles from the packaging and place it on a microwave safe dish. Cover them with a damn paper towel and microwave for 5 minutes or until heated through and have softened. Transfer the noodles to a colander and rinse them under a running faucet. Use your hands to loosen the noodles and separate the strands. Once the noodles have been separated, drain well and set aside. If you find that the noodles in the center are still hard and breaking into pieces, re-heat them more in the microwave. They need to be softened or the strands won't separate properly. If your noodles are still fresh and have not been refrigerated, you can skip step 1. 2. 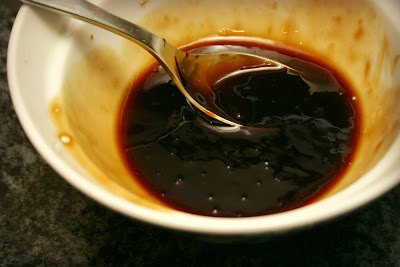 Prepare the sauce - combine all the sauce ingredients in a bowl and mix well. Set aside until ready to use. 3. Start cooking - During the cooking stage, keep your burner on high heat throughout. This means you have to pay attention to the food and work quickly, stirring the ingredients together frequently to prevent burning. Heat 3 tbsp. vegetable oil in a wok. Add the minced garlic and cook until fragrant. Be careful not to allow the garlic to burn. Add the pork and stir fry until no longer pink. 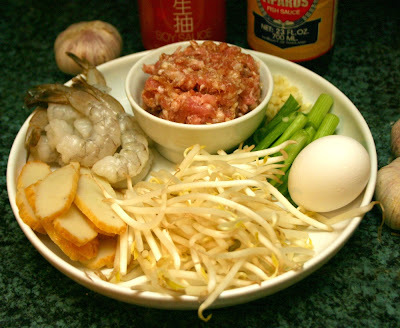 Next, add the shrimp and fish cake to the wok and stir fry for a minute. 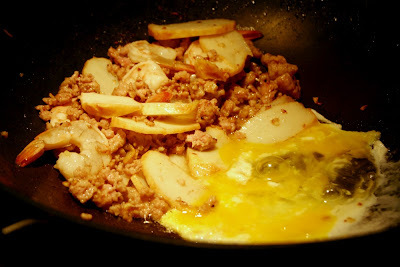 Push all ingredients to the side then crack the eggs into the center of the wok. Allow the eggs to cook partially then mix with the other ingredients. Stir fry until the shrimp is cooked through. 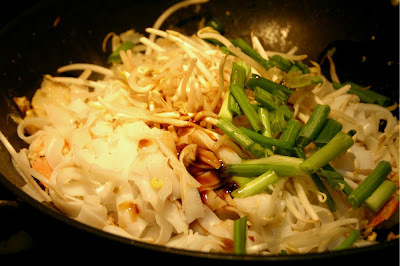 Add the noodles, bean sprouts, green onions and sauce. Continue to stir fry until the noodles have soaked up the sauce and all ingredients have been evenly distributed. Transfer to a dish and serve immediately. Tip: If you have leftovers, it is best to re-heat by re-frying them in a pan. I've found that microwaving the noodles tend to change the flavor and does not taste as good. Indeed, my friend encouraged me to read different articles about Recipes For Stir Fry. This is my first article to read and I'm so impressed for this one because it looks very delicious. I will show this to my friend and I'm sure she will love this one.